Art Credits to Maggie Hsu! T.M. Landry is “dedicated to promoting each child’s self-worth and dignity in a supportive, educational and safe environment”(T.M. Landry College Prep). Despite the safe and educational environment Landry claims to provide, on November 30th, the New York Times exposed the dark truth behind the success of T.M. Landry Prep School– a Louisiana preparatory school famous for their success in sending working class African American students to top universities. Times revealed while Landry promises success to their students, they trap them in a toxic environment full of mental abuse, physical abuse, and fraud. 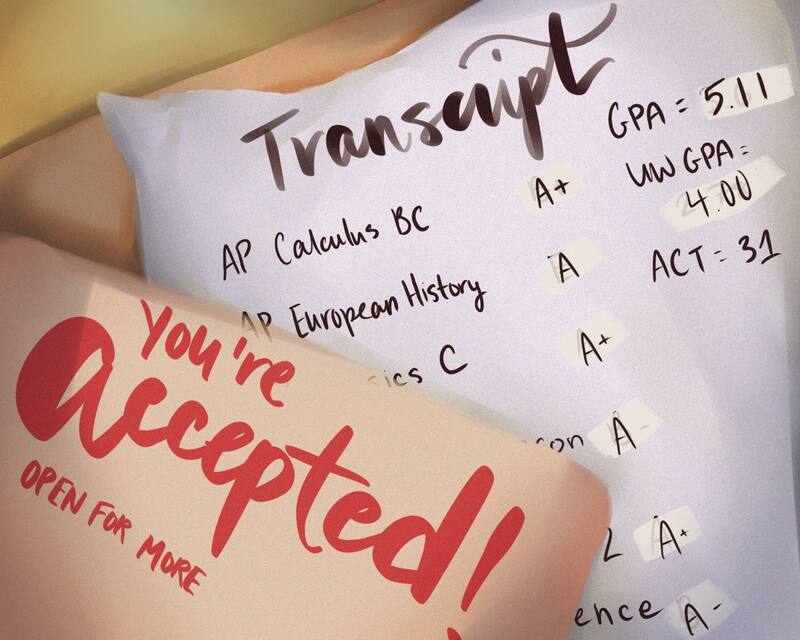 While students in Landry’s famous Ivy acceptance videos look ecstatic– these videos mask the pain, abuse, and pressure these students face daily. Court documents prove how some staff members face legal charges for hitting students. In 2013, Michael Landry, one of the founders of the school, plead guilty to one account of battery and faced probation. Further witnesses claim that they saw Landry himself slamming students into desks, choking them, and locking autistic students in closets. Not only does Landry abuse their students, but they also create fraudulent stories and transcripts– which says a lot about our current education system. Many reports show how Landry falsified transcript grades and added many classes that students did not take. Students even recalled how Landry directly told them to lie on their application and spin fake stories about their background, exaggerating disadvantages. These actions demonstrate how T.M. Landry is much more concerned about their own reputation of sending students to top schools rather than focusing on caring, educating, and helping their students. The Ivy culture exists as a pervasive and dangerous force that emphasizes getting students into prestigious schools and often takes away from the real meaning of education. Ultimately this scandal reveals the dark and unethical approach common in schools– student abuse and academic dishonesty for to achieve end results. The emphasis on sending students to prestigious schools rather than developing their character and teaching them will cause disastrous problems and educators must prioritize actual education over results. It is never right to commit fraud or abuse others in order to get into a good school, and will only degrade the student in the future. Hopefully this scandal reveals how it’s not all about getting into Harvard, it is about maintaining a healthy environment for students to flourish and learn.